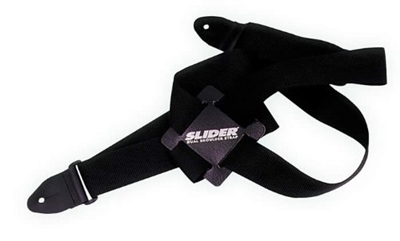 This is a great strap, especially for a more mature player or someone with a heavy instrument. I bough this strap to replace a 20+ year old slider that was worn out. I have enjoyed using it so much, I had to have another. Even a lighter instrument will give you an even weight on each shoulder, making long playing sessions much more comfortable. I doubt I could go back to a single-shoulder guitar strap now! Materials feel cheap. For price, a fair deal.